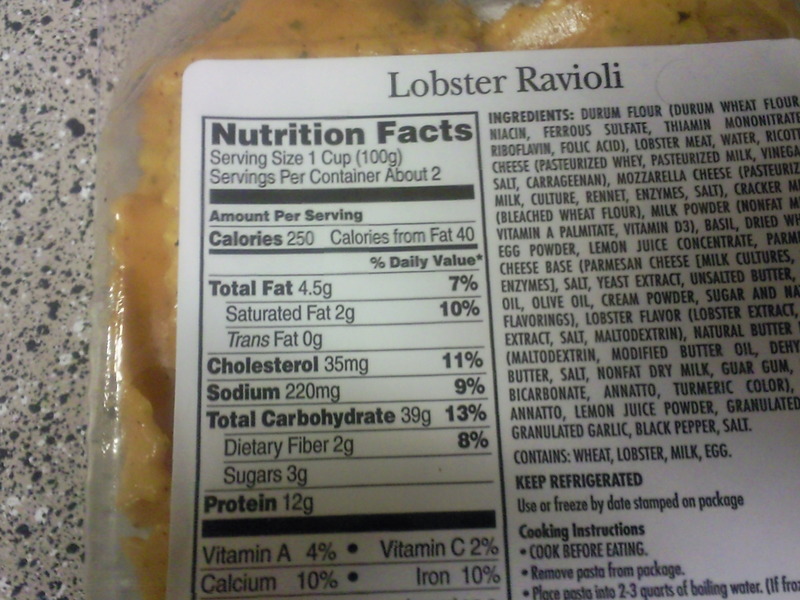 You are currently browsing the tag archive for the ‘lobster ravioli’ tag. I really need to sit down and do some serious blogging but I find myself being stretched in so many different directions. That’s to be expected with 2 little ones, a hubby, and a job. To those of you who may read my blog I hope that the lack of a personal touch is not too much of a problem for you right now. 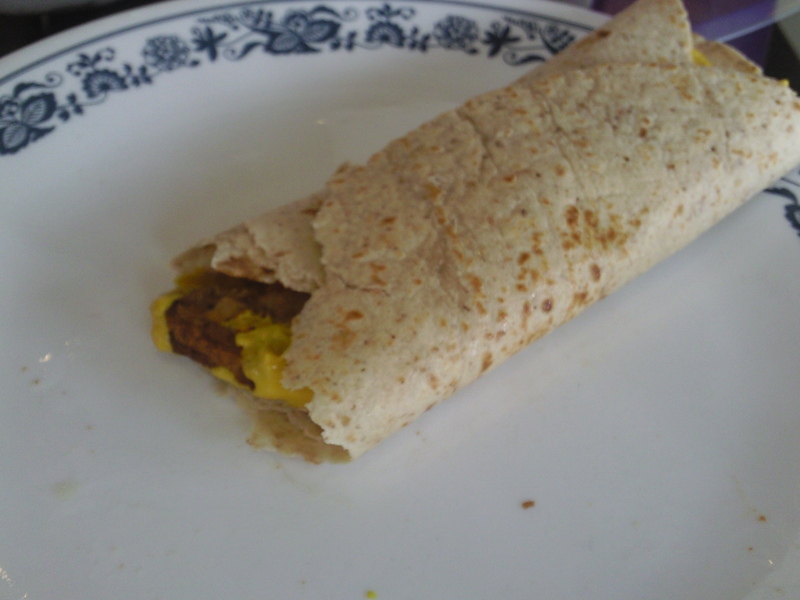 OK so for lunch yesterday I at a Morningstar Farms Veggie patty wrap. I simply cooked the best little veggie patty ever in the microwave for about 2 minutes. 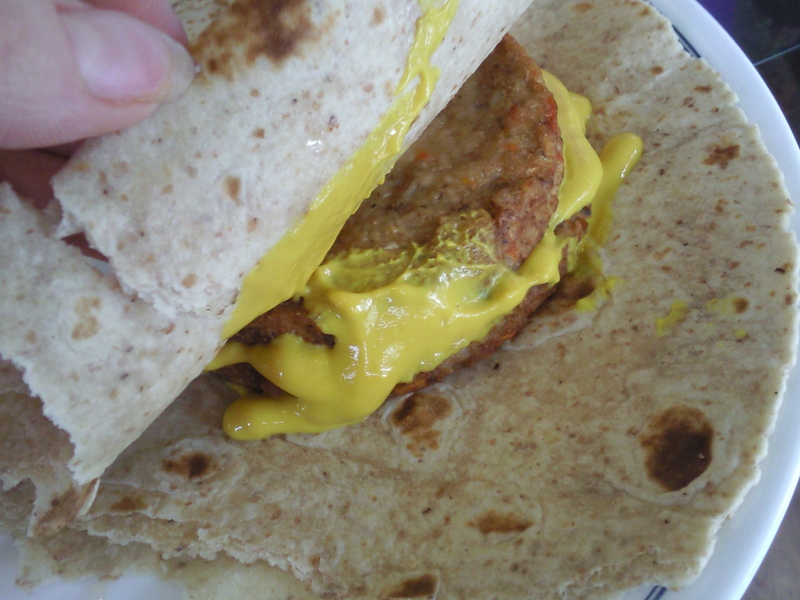 Put it in the middle of a La Tortilla tortilla and squeezed enough mustard on there to drown it just right! It was OMG good. I’ve never tried the Morningstar Farm’s version and I don’t think I can go back to store brand ever again. It was that good. 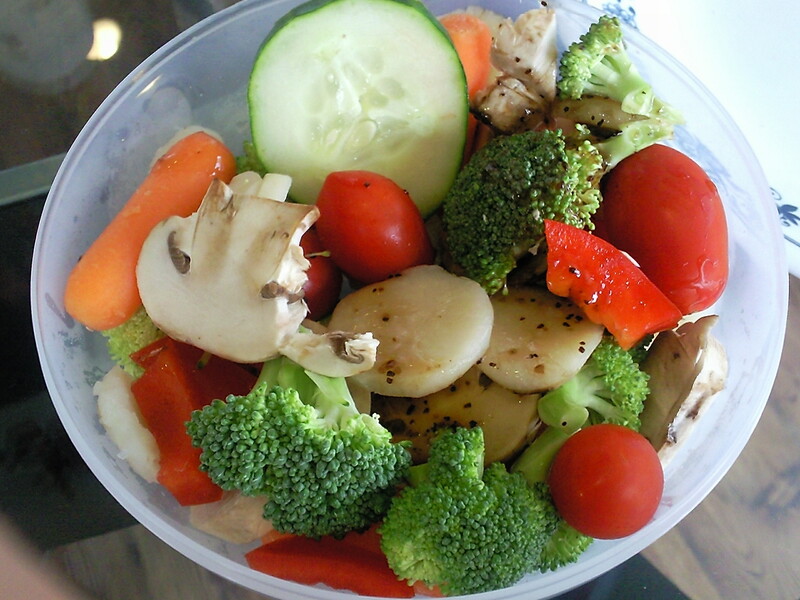 I also paired it with a side salad which was just broccoli, carrots, cucumber, red bell pepper, mushrooms, and water chesnuts. I love water chesnuts! I don’t know why I buy them more often. Overall, lunch yesterday was very good. 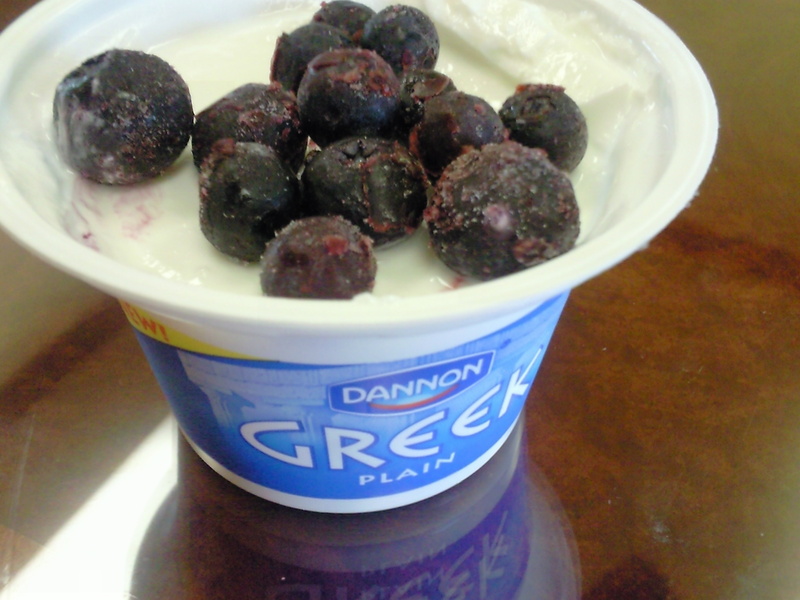 I had my yogurt and some frozen blueberries later in the day. I have been way into yogurt combinations lately. Yogurt for dessert, yogurt after lunch. Yogurt messes are the best! I ate an apple on my way to Tae Kwan Do, and after class B picked up a pizza for him and the girls. 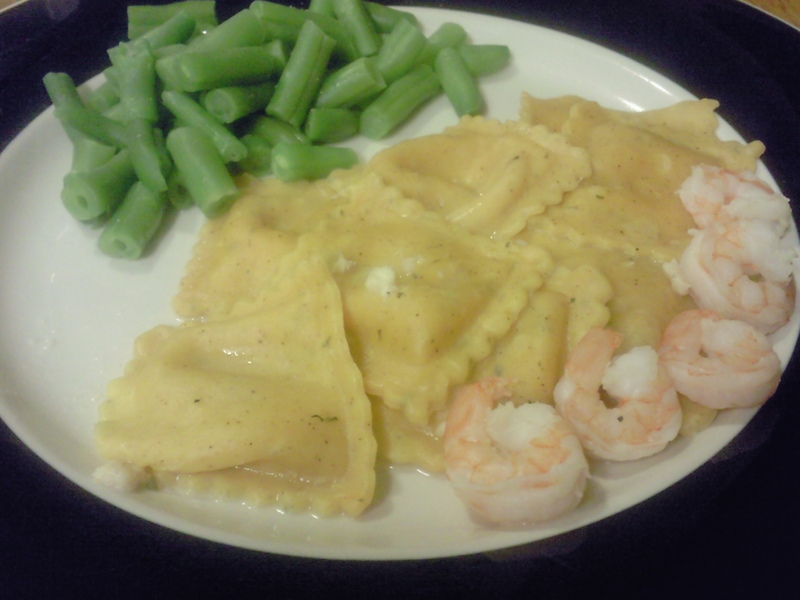 I did not want pizza, so I broke my own rule of eating separately and made a plate of lobster ravioli and green beans! 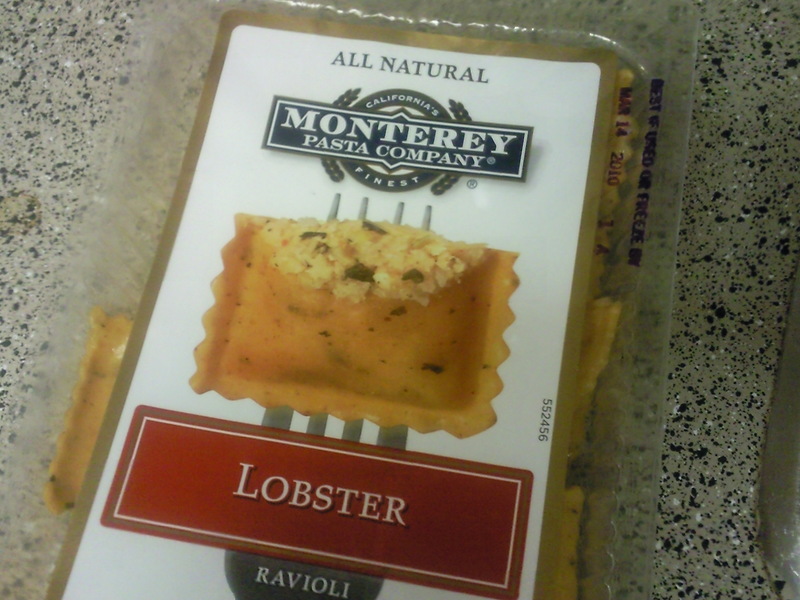 I had bought a pack of Monterey All Natural Lobster Ravioli at Target on sale for $3.00 a couple of weeks ago and it was reaching its use by date. Pretty good stats too. The ingredients list is a bit lengthy for it to be called “all natural” but oh well. Let me just put this out there. This lobster ravioli was WAYYY better than pizza. OK? Ok.
Dessert was a yogurt mess again! Haha! 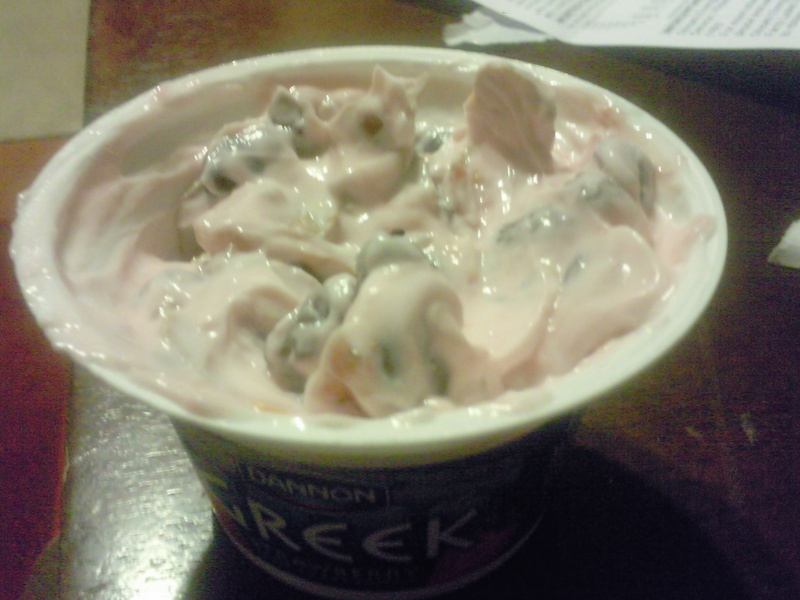 I mixed strawberry flavored Dannon Greek, with some Kashi cereal, and raisins to make this amazing concoction! So folks I will try to catch you up on today a little later, but it wasn’t anything too special. I have my ravioli for lunch today and some eggs for breakfast so in case you were wondering….you didn’t miss much! Have a great rest of your Thursday! !